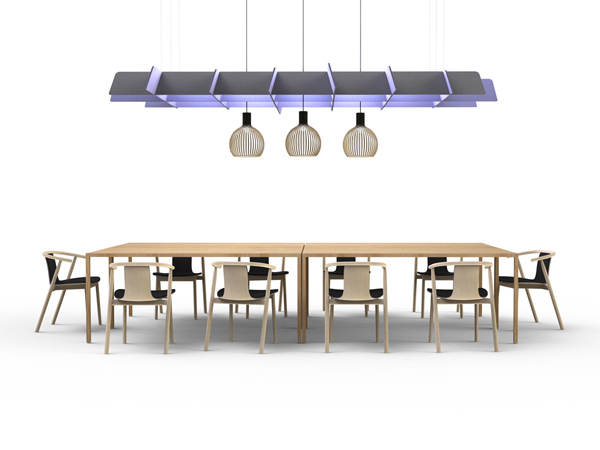 French designer Alain Gilles has created a new range of sound absorbing elements for Belgian brand Buzzispace, to be presented in Milan next week. 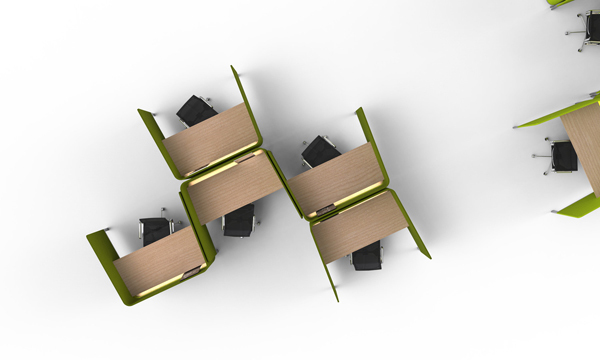 Buzzigrid takes inspiration from the ceiling structures seen in many public spaces. 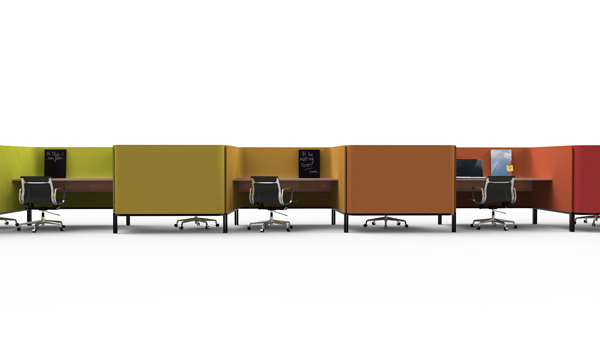 Made of recycled felt, it can be used in meeting rooms or hotel lobbies to absorb polluting sounds and limit the echo. 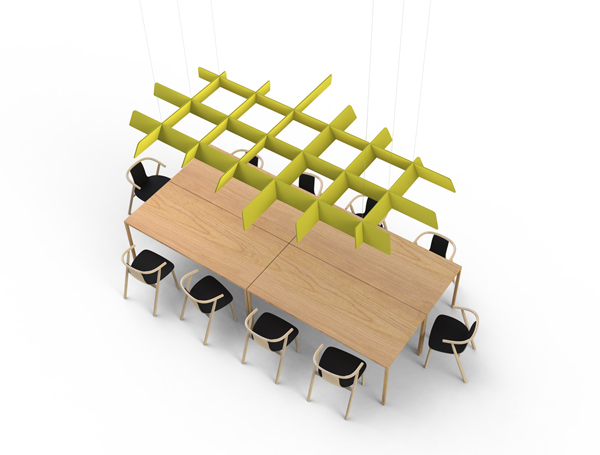 With a clever open structure, it will not obstruct ventilation and lighting systems. 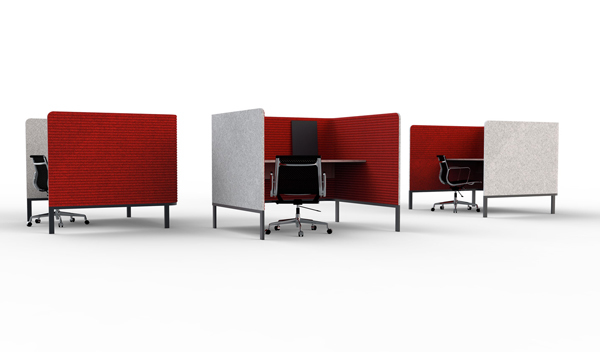 Buzzitemp is a temporary workspace enabling flexible office environments. 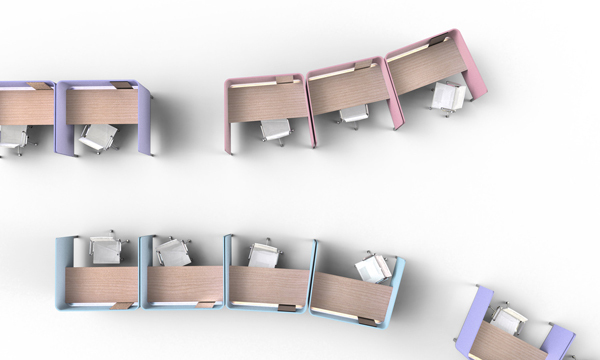 The working islands, available in a wide choice of fabrics, come with straight or angled sides, for more creative compositions.